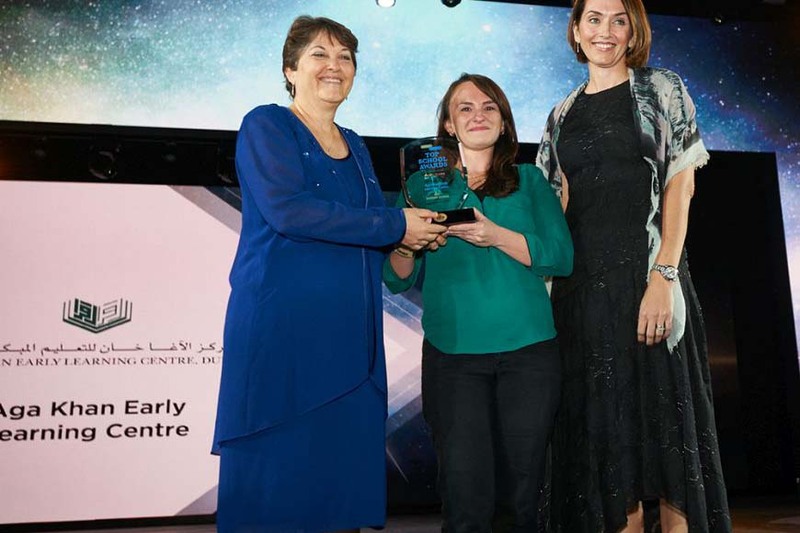 Hosted by SchoolsCompared.com, the Aga Khan Early Learning Centre (AKELC) was announced the winner of the Best Nursery UAE 2019 award. Head of Nursery, Kelli Allen, and HR and Operations Manager, Irnesa Hodzic, received the award on stage and were asked to share their thoughts. Both stated that the success of the award was a combination of staff, volunteers, parents and children working together to achieve a high-quality programme. On January 22, 2019, Kelli Allen was notified that AKELC had been shortlisted in the SchoolsCompared.com Education Awards 2019. Aga Khan Early Learning Centre (AKELC), Dubai is an accredited non-profit nursery and preschool located in a purpose-built facility in Oud Metha and offers a high quality bilingual (English/Arabic) British curriculum to children aged 1 – 4 years based on best international standards and practices.